A new academic year is about to start, so it’s important that student landlords know the legalities of renting out to students. While being a student landlord isn’t too dissimilar to being a regular landlord, there are some differences between the two. Here at Good Move, we have compiled a list of things to consider when letting to students, including health and safety issues, insurance and furnishings. To ensure you are abiding by the law when renting out to students, you must get your tenants to sign a tenancy agreement. There are two ways to go about this, either by getting your tenants to sign a joint tenancy agreement, or having individual tenancy agreements. Individual tenancy agreements are usually the preferred option if the tenants do not know each other, such as a house share if you are renting out each bedroom individually. Most student landlords opt for a joint tenancy, which ensures all tenants are responsible for the total costs overall. For example, if one student fails to pay their rent, it is the responsibility of the remaining tenants to pay their share of the rent. Get your tenants to sign physical copies of the agreement, and you can provide them an extra copy for their records. When renting out a property to the public, it’s your responsibility as a landlord to ensure your property meets the correct health and safety recommendations and responsibilities. One of those responsibilities (particularly for HMOs which will be explained in detail later), is ensuring fire doors are fitted throughout the property. Fire doors are fitted with a mechanism at the top of the door, which ensures that when it is opened, it will close immediately after. In the case of fire, this prevents the fire from spreading between different rooms. A smoke detector should be provided on each storey as a minimum in your rental, as well as a carbon monoxide alarm in any rooms which had a solid fuel burning appliance such as a coal fire. Any gas equipment must be installed and maintained by a Gas Safe registered engineer, and an annual safety check must also be carried out on all gas appliances and flues in the property. As a landlord, you should also check that all electrical appliances, sockets and light fittings are working and are safe. Anything deemed unsafe, such as loose plug sockets, should be replaced by a trained electrician. A property is classed as a house in multiple occupation (HMO) if at least three tenants live in the property and they share a toilet, bathroom or kitchen facilities with other tenants. A large HMO consists of five or more tentats, spread over three or more storeys and who all also share bathroom, toilet and kitchen facilities. Students are exempt from paying council tax, however the responsibility for obtaining an exception certification lies in the hands of the students. If there are any discrepancies in the future over council tax, ensure you have proof that your previous tenants were students, otherwise you may have to foot the council tax bill yourself. Just like regular home insurance, it’s important to get a landlord insurance policy in the event of something happening to the structure of your property or fixtures and fittings. However, it’s important to let your insurer know that you are renting out to students as insurance policies can differ if you are renting out to students. Most student landlord insurance policies cover malicious acts and damage caused by the tenants, loss of rent, accidental damage, as well as any damage to the structure of the property. You should always get confirmation of what your policy covers by your policy provider. Cover against a tenant’s personal belongings is not usually covered by the landlord’s insurance, so tenants must take out their own content insurance to insure their personal belongings. Most student rentals come fully equipped with furnishings such as beds, sofas and wardrobes. It’s important to remember that most students will be moving away from home for the first time, so are unlikely to have lots of furnishings or furniture. It’s a good idea to check that all furnishings and white goods are in working order, and replace any faulty items as soon as possible, and ideally before your tenants move in. Landlords are not required to keep in regular contact with their tenants, but it is crucial to form a friendly relationship, so it is easier to approach either the tenants or landlord if unpaid rent needs chasing or if there is a problem with the boiler. Being a friendly and approachable landlord allows the tenancy to go with few, or even no, hitches. This may seem obvious, but it’s important to set up a direct debit or standing order for each of your tenants for rent. Setting up a standing order ensures that your rent will be paid on time. Keep your eye out for any changes in payments, as students do have the ability to cancel any direct debits or standing orders at any time. Being a student landlord does come with risks, with the potential for some of your property going missing. Draw up an inventory of any items in your property at the beginning of the new tenancy, and use this to ensure all items are still in place at the end. Take a note of the condition of any items, so any damage to your property can be resolved at the end of the tenancy. 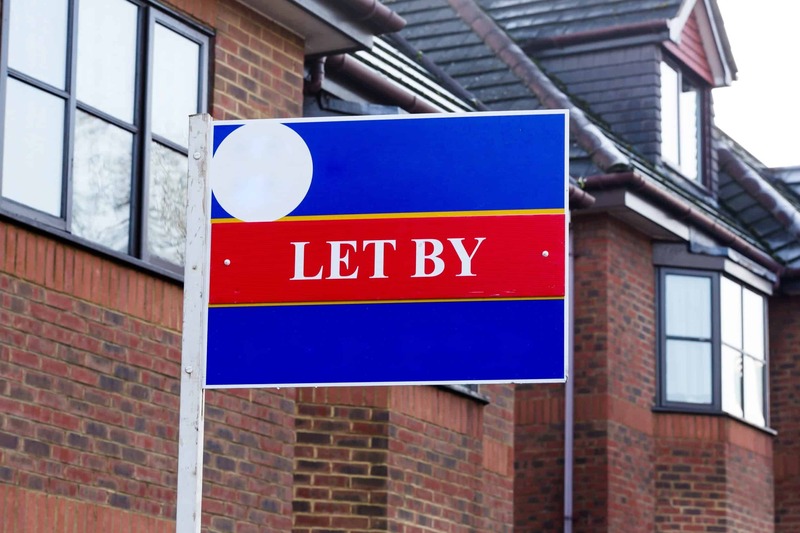 Are you a landlord and wish to sell your tenanted property? Contact our experienced team at Good Move today.